Burns Hall in the highlands of Kincardine, Victoria County, New Brunswick, Canada. Just before a Sunday Matinee, c.25 January, 2013. 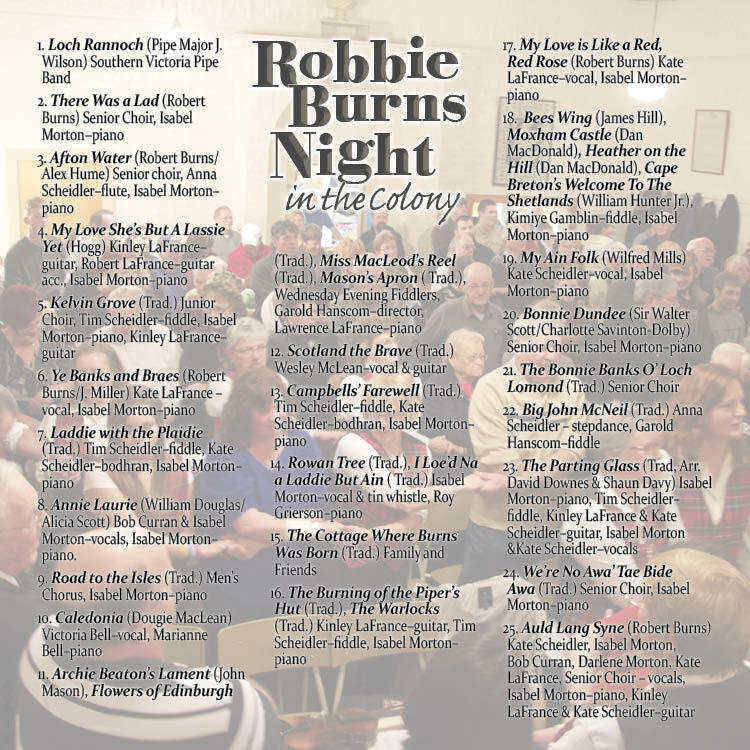 Robbie Burns Night in the Colony is a compilation of several Burns Night concerts. 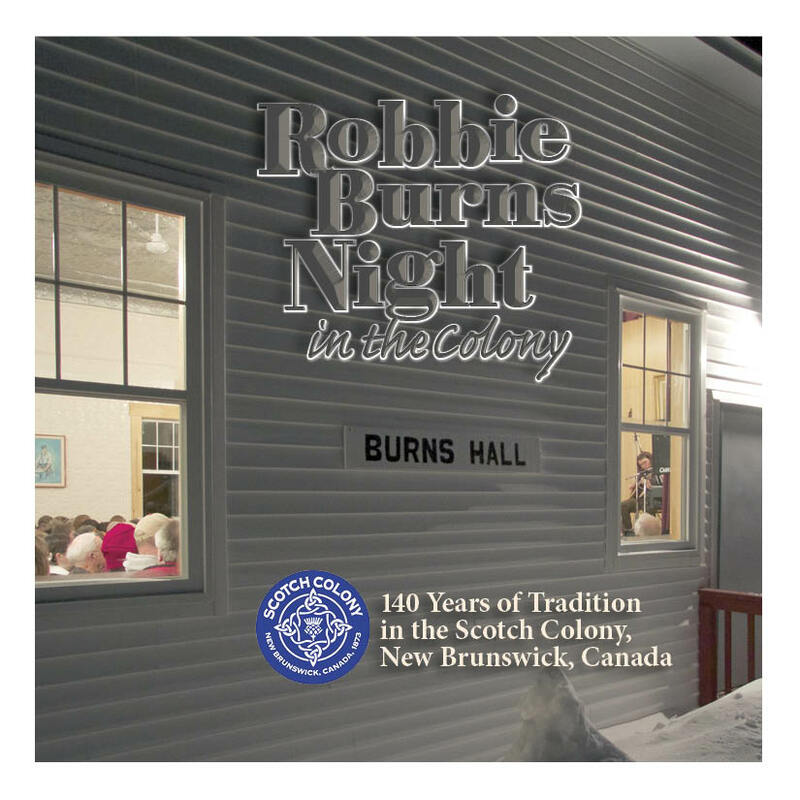 Burns Night takes place each January in the Burns Hall in Kincardine, in the Scotch Colony, Victoria County, New Brunswick, Canada. The talent and love of music, brought by the Scottish settlers of 1873 and 1874, has been passed on through several generations to today. Many of the performers are descendants of these first settlers of The Colony. Once again, it is to the memory of those who have gone before that we dedicate this musical collection. 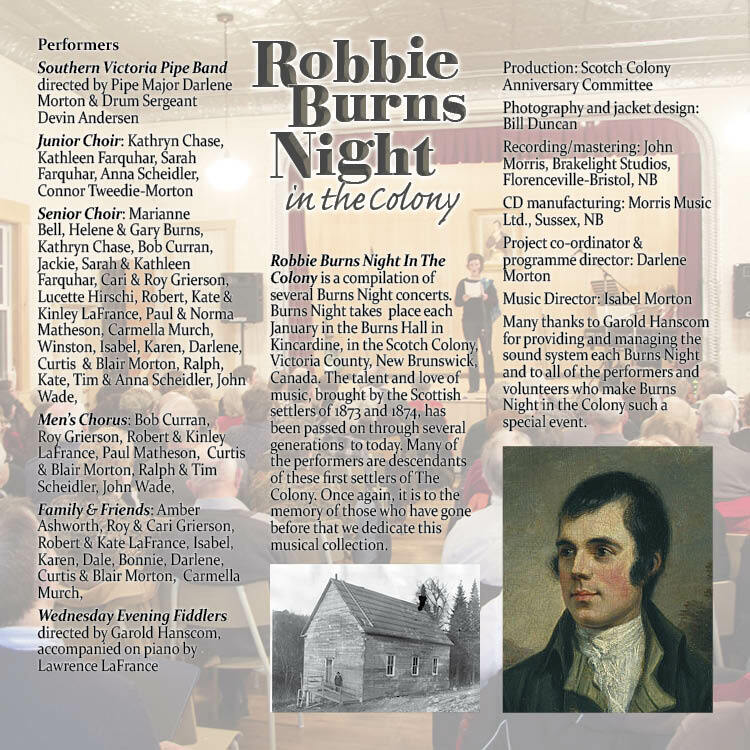 Click to listen to a free sample: Afton Water (Robert Burns/Alex Hume) Senior choir, Anna Scheidler–flute, Isabel Morton–piano. 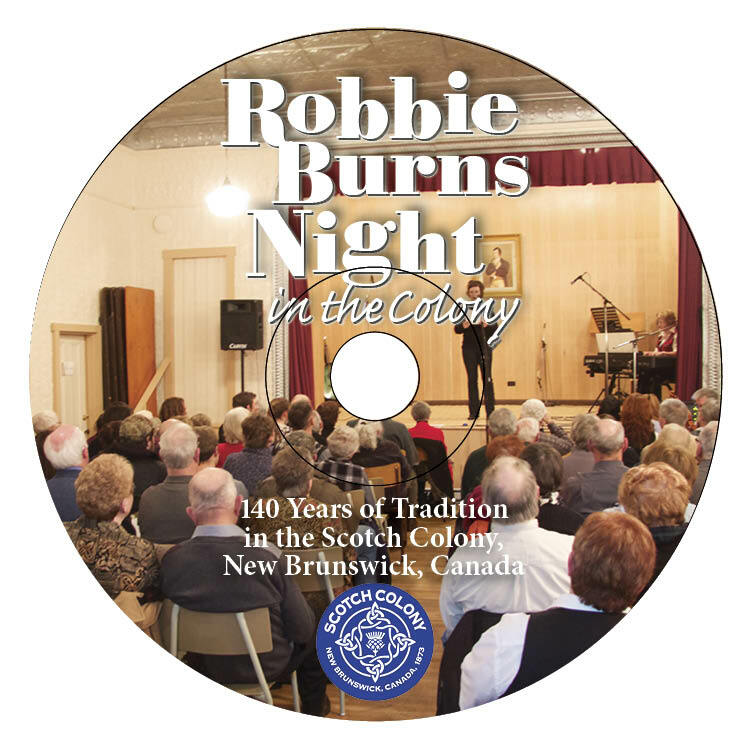 CD disc artwork showing the Burn’s Hall stage. 8. Annie Laurie (William Douglas/Alicia Scott) Bob Curran & Isabel Morton–vocals, Isabel Morton–piano. Many thanks to Garold Hanscom for providing and managing the sound system each Burns Night and to all performers and volunteers who make Burns Night in the Colony such a special event. Jean has added all CD information to Gracenote so when you import songs into iTunes you’ll see all the titles. This entry was posted in Annual Events, Fest140 Souvenirs & Raffle, Gifts and Souvenirs, News, Scottish Culture by Bill Duncan. Bookmark the permalink.